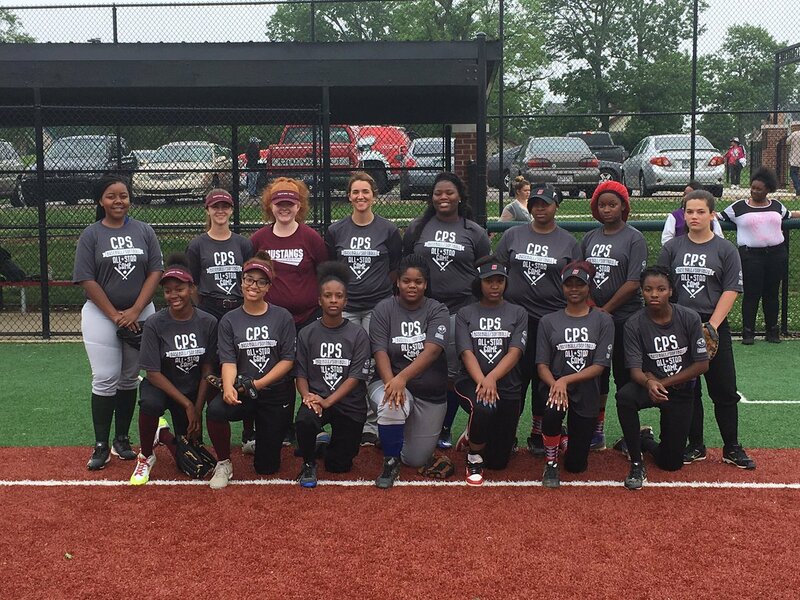 On May 20, Cincinnati Public Schools presented the first district-wide baseball/softball All-Star Weekend. 75 student-athletes from 11 different CPS schools were chosen by their peers and coaches to represent their teams in an afternoon of exciting and friendly competition at Withrow High School’s All-Star Sports complex. The day began with all baseball and softball players being introduced and recognized for their season accomplishments. As players lined the field, former Cincinnati Reds star pitcher, Tom Browning took the field to relay words of encouragement to the students, in addition to throwing out the first pitch of the event. Shortly afterwards, the Home Run Derby would begin, bringing together kids from each school as they cheered each other on. Ultimately, Rico Taul (Shroder) and Deaysha Finley (Oyler) won their respective contests as they proved to be the power hitters of the afternoon. After the conclusion of the Home Run Derby, the kids were given time to warm up for the game. Jon Breen (Clark) and Jack Kuzniczci (Walnut Hills) coached the East baseball team while Felix Moore (Western Hills) coached the West baseball team. On the softball field, Lori Troescher (formerly Western Hills) coached the East team as Taylor Brown (Western Hills) coached the West. Teams came out firing on all cylinders in both games as runs were scored in the first inning for all four teams. At the end of the day, the East teams came out on top in both games. Each winning team was awarded a trophy which will stay at the CPS Education Center to be put on display. This trophy will be awarded to the winning side every year moving forward.